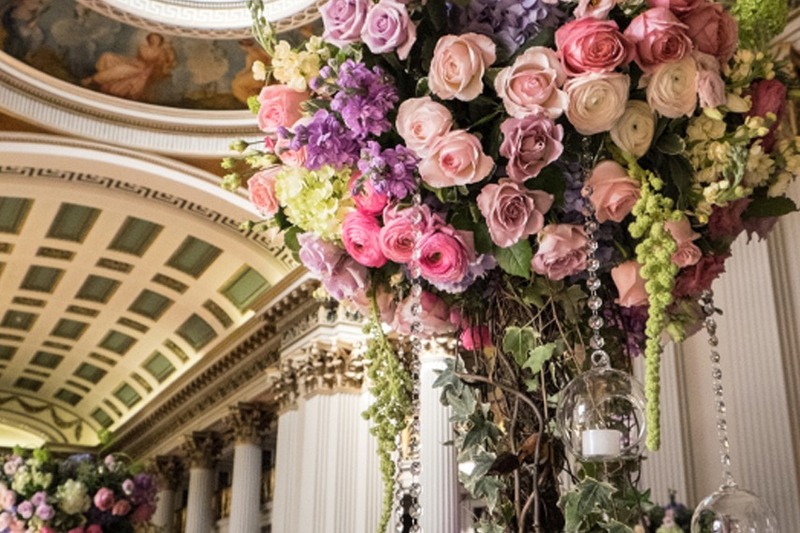 The Signet Library is offering an exclusive wedding package for couples planning a 2019 Spring Wedding. The Spring into Signet package is valid for Fridays and Sundays during the months of April to July 2019, couples can take advantage of this offer from £110+vat per person, including venue hire. The Lower Library, with its columns, cornices, galleries and balustrades, is the perfect elegant and formal setting for a wedding ceremony, with a wonderful long aisle and space for the service solemnities under the archway. After the ceremony the Library is transformed into a reception space where guests can relax and mingle. The Upper Library is a magnificent setting for any wedding celebration; guests will enjoy a wedding breakfast in sumptuous surroundings before dancing the night away under the cupola. Architectural features include a cupola painting depicting Apollo and the Muses, accompanied by poets, orators, historians and philosophers, a magnificent stained glass window celebrating Queen Victoria’s Jubilee, classical columns, ornate cornices, and upper galleries with decorative balustrades. The offer is subject to date availability, terms and conditions apply. Please contact the venue’s Wedding Design team for further details by calling 0131 225 0651 or downloading the brochure.